LUCE DA NOTTE CON INTERRUTTORE A LED. Dotata da interruttore on/off. la lampada impiegata e a fluorescenza. Per esercitare il diritto di recesso, il consumatore è tenuto a informarci della. sua decisione di recedere dal presente contratto tramite una dichiarazione esplicita. 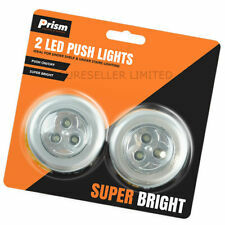 Each push light features a self-adhesive backing that is easy to fix to surfaces and is complete with three LED bulbs, making it super bright and effective. REQUIRE JUST 2 AAA BATTERIES NOT INCLUDED. Handy Cordless bulbs set of 4. Bright White light. Ideal for any indoor areas. Just Stick or screw on wall. Installation Type: Peel n Stick on the surface. 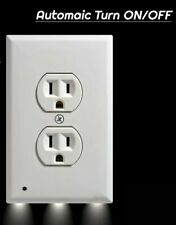 Self-adhesive backing - pull cord to switch on/off. Hulk Fist 3D FX Light. The Hulk fist 3D Lights are here. The Fun, Energy efficient night light solution for kids! This official Marven Avengers Assemble Hulk Fist 3D FX light acts not only as a comforting night light but as an awesome feature in any bedroom, playroom or office (or an adult's den!). The wall light comes with an easy to apply crack sticker and once mounted it appears like the fist is crashing through your wall! Designed with safety in mind, the light is cordless, battery operated and stays cool to touch. The wall light also comes with everything for an easy installation and long lasting LED bulbs which will never require changing. Features: Hulk Right Fist 3D Deco Light. Includes Hulk fist light and crack decal sicker. Thor Hammer 3D FX Light. The Thor Hammer 3D Lights are here. The Fun, Energy efficient night light solution for kids! This official Marvel Avengers Assemble Thor Hammer 3D FX light acts not only as a comforting night light but as an awesome feature in any bedroom, playroom or office (or an adult's den!). The wall light comes with an easy to apply crack sticker and once mounted it appears like the hammer is crashing through your wall! Designed with safety in mind, the light is cordless, battery operated and stays cool to touch. The wall light also comes with everything for an easy installation and long lasting LED bulbs which will never require changing. Features: Thor Hammer 3D Deco Light. Includes Thor Hammer light and crack decal sicker. What you see is exactly what you will receive. Nothing more or less. 1 x Gabinetto Luce (Batteria non è inclusa). 8-emissione di luce di colore: 8-luce di colore a sua volta, ogni colore per 15 secondi a caso, 120 secondi globale per un cerchio, si può anche risolvere un colore che avete desire. NEW - Fiber Optic Centerpiece Lamp. Turn it on, and watch as it shows off a fabulous multi-colored light show. A unique gift for your grandchild or co-worker. This is also a great item to have in the classroom to teach fiber optic technology in an interesting way! Two adjustable brightness levels. 8-10 hours based on brightness level. Battery of remote: 2 x AAA batteries required (not included). Option to set to automatically turn off after 30 minutes. Battery operated. At the flick of a switch, this picture-perfect pout lights up, to glow a romantic red! On top of that, the LEDs remain cool to the touch, so curious little fingers won’t get burnt! Wall mounted. • LEDs remain cool to touch. LED button for static glow and Star button for twinkle effect. Create a magical light show with this unicorn light projector. Magical Misty Unicorn LED Light Project. QUICK DISPATCH. 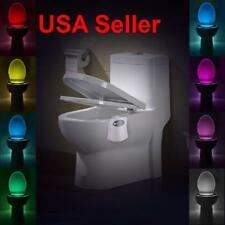 Fitted with 5 LED bulbs which shine in green, red and blue. 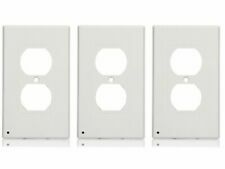 A Multitude of uses the bright leds will light up any darkened area with out having to use the main switch of to cover a dimly lit area. 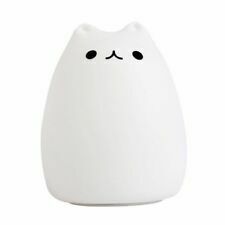 Ideal to use as a night light for children or a switch to give you light in the middle of the night. This cute banana shaped night light gives off a warm and comforting glow. Operated by batteries it can be placed anywhere in the bedroom without the need for a bedside plug. Das süße Nachtlicht Sleepo "Schaf" ist ca. 33 cm groß. Nicht geeignet für Kinder unter 3 Jahren, wegen Erstickungsgefahr durch Kleinteile. Lottie Ladybird Ladybug Star Projector Kids Starry Night Bedroom Light. In excellent used condition & fully working. Requires 3 AAA batteries (not included). Projects a magical starry night sky onto ceiling and walls. 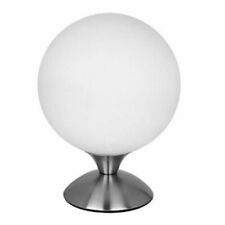 Decorate your own world with this moon light - cast a gentle glow over your desk or bedside table. The moon has been a divine and enchanting symbol in human history, and it brings you mystery, delight, belief and romance. Multicolor Fiber Optic Lamp Light Holiday Wedding Centerpiece Fiberoptic LED. NEW - Fiber Optic Centerpiece Lamp Turn it on, and watch as it shows off a fabulous multi-colored light show. Not only will it get your friends talking about how awesome it looks, it will get them talking about how awesome you must be to have such an innovative lamp. A unique gift for your grandchild or co-worker. This is also a great item to have in the classroom to teach fiber optic technology in an interesting way! Also great for party decorations. Shipped with tracking from California Offer is good for multiple order only. Thanks. NIGHTLUX – das leicht zu installierende Nachtlicht, ohne Kabel und Steckdose, beleuchtet dunkle Kellerabgänge, verwinkelte Ecken und steile Treppenstufen. - Leuchtdauer: 20 Sek. - Sensor Reichweite: 120° 5m. 3 LED Unicorn Wall Sticker Lamp. Unicorn Wall Decals Are A Great Way To Add A Little Magic & Style To Your Wall. Size : Height - 24cm Width - 15cm. Include : 1 x Wall Sticker. It Is Unsuitable For Dusty, Greasy Or Rough Surfaces. High quality warm white LED light. Designed especially for your kids bedroom - lamp is cool to touch and is child-friendly. Specific Uses: Table light, desk light. Colour: Multi-colour. On/Off Switch on base. Anschlussfertig, effiziente LED-Variante, energieeffizient, einfache Installation und Nutzung. The sensor light identifies day and night automatically and will only illuminate at night, when movement is detected and Turns off automatically after 15-30 seconds if no motion is detected. Smart Motion Sensor Detection -- The Sensor Light has a built-in motion sensor that detects movement from up to 7-10 ft. away. Perfect for any Location -- This light can be used to light up your hallways, stairs, bathrooms, bedrooms, closets, storage areas and so much more. Wireless, battery powered operation means no installation hassles. No electrician is needed. You can install batteries into the unit, mount the light where you need it, and enjoy the safety and security of the unit's 10 lumen LED light.. While its colourful, ambience makes it an ideal nightlight for little ones, the Rainbow Neon Light is also perfect for parties, making a great talking-piece! Rainbow Wall Neon Light. • Rainbow LED Neon Light. Simply tap the lens to add extra light where you need it. Can hang on a hook, screw, whatever - easy fitting to walls etc so it can. On / Off switch is the light itself. Health & Beauty. It's a proper light! Category: projection clock. Creative feature: projection clock, color changing clock. Application of places: the public living room, Office, bathroom, den, kitchen, bedroom. sky star lights. Special features: alarm clock, calendar, luminous. 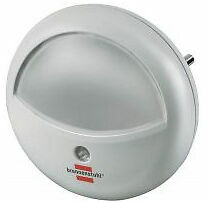 Uses Photocell Sensor No need to replace bulbs any more - uses 3 LEDs. Long Life Excellent for children / baby rooms, hall, stairs, landings. 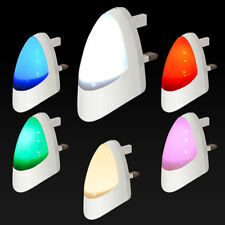 Automatic LED Night Light Dusk to Dawn Warm White. Incandescent Bulbs & Tubes. Dusk to dawn sensor automatically switches on at dusk and off at dawn. Choose between white, green or blue light at the touch of a button to create the perfect mood. 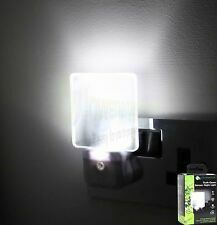 This energy efficient night light uses LED technology which ensures no heat output.Features. Placard PILES incluses. C'est bien dans le couloir, la nuit, dans un placard, ou dans des escaliers, garage en sortie de voiture, etc.